iGotYa’s a very neat and cheap way to figure out who stole your phone, and where they’re located. Available for $4.99 in Cydia (there’s a free trial as well), iGotYa is able to take a picture of whoever’s using your phone thanks to the iPhone 4’s front-facing camera. 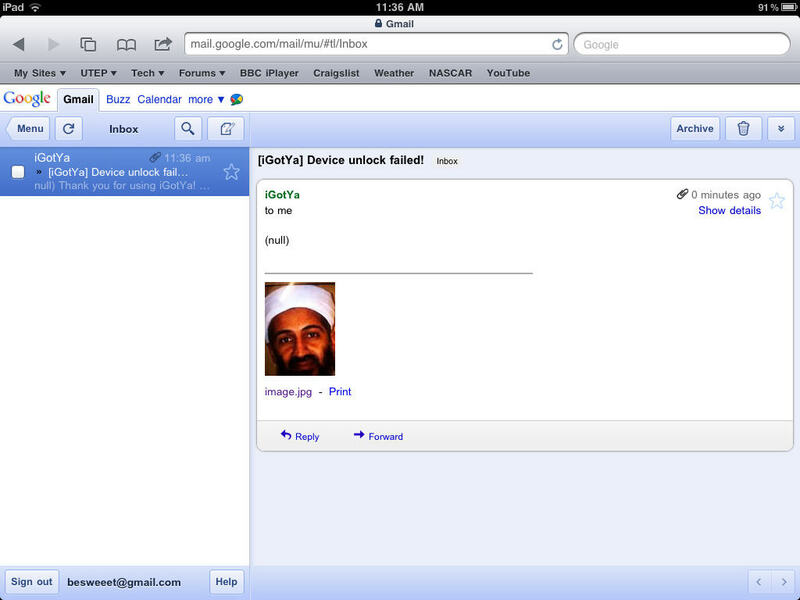 It can then email that photo to you. Not only that, but iGotYa will also obtain their location and send that to you as well. Continue reading for more information! Keep in mind that, to obtain somebody’s location, you have to have Location Services enabled. I didn’t have it enabled, hence the (null) value. 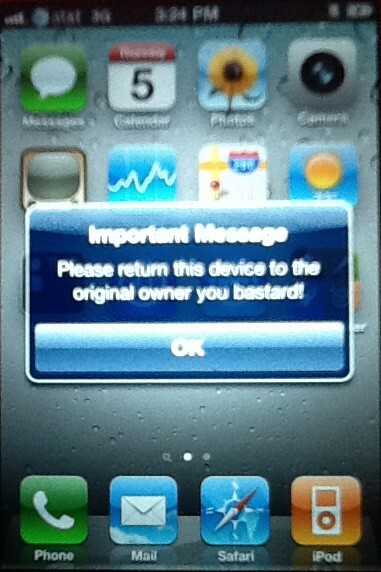 iGotYa is also able to put your iPhone into a “secure” mode. 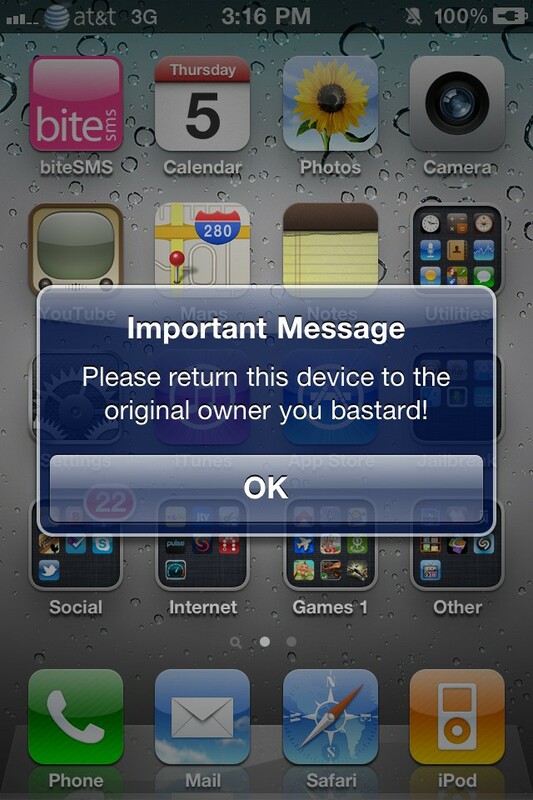 After 2 failed passcode attempts, your phone will unlock and go into a very minimal state. Only the most basic of applications will be available. Even though they’re there, your information won’t be. Your contacts list will appear empty, your calendar will be blank, your alarms will be gone, your text messages will disappear, and so on. But don’t worry, because all of these things will instantly be restored back to normal once you have a successful passcode input. iGotYa can also prevent your device from syncing with ANY desktop application. If somebody tries to access your device’s filesystem through AFC, a number of the folders and files won’t be visible. You’ll find all of the settings for iGotYa in the stock settings application under extensions. Everything here is self-explanatory. While all of this is great, it can also mean bad news for some. If the person who happens to have your phone knows what they’re doing, they can easily disable iGotYa altogether with very little effort (should SSH or AFC2 be enabled), but for most jackers, they probably won’t know what to do. 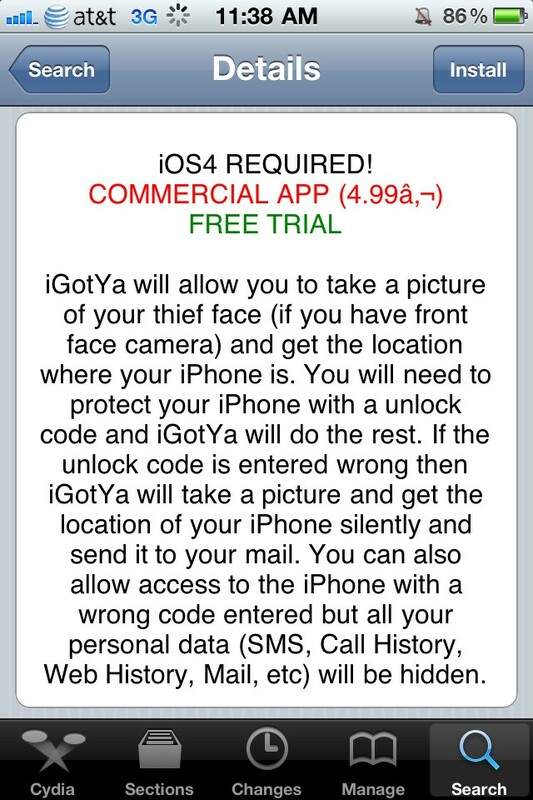 But overall, iGotYa is a very simple way to try and track down the person who has your phone. It’s basically set-and-forget. Check it out! Feel free to follow Brian on Twitter.